Thanks mate for the pic ! I am glad that it please you. And it looks nice with turtles ! Would like to order a Sega Astro City & Sega Aero City if you still have any. Jermz1 wrote: Would like to order a Sega Astro City & Sega Aero City if you still have any. Item received all ok thank you, just got to sort out some artwork now. got 2 Capcom Cute headers. I'm continue to love my aero header. But, I just managed to break one of the repro plastic nuts. Can you sell these separately or point me in the direction of where to get them? Please respond to my MP. I am just wondering how much is to ship screen cover for snk sc-19 to South Korea? I am in France and shipping to south Korea will be around 37,70 E for a package less than 2 kilos. do you have some left for a New Astro City? All the models are available ! 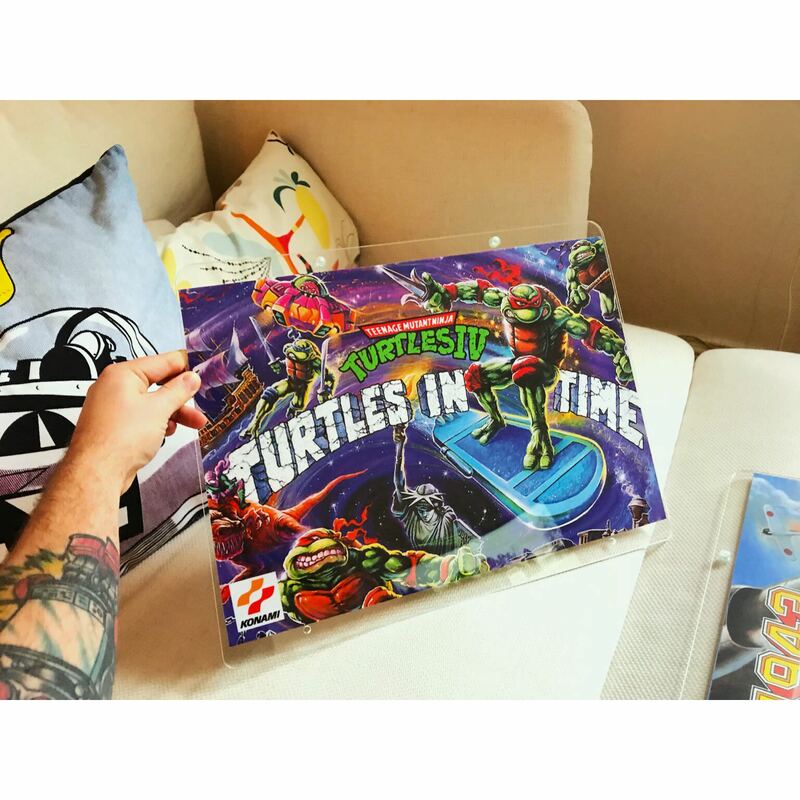 What model is used for the turtles in time picture? I'm also looking for one for a namco exceleena 2 (red). The mounting hole dimensions (could be changed later) are 180mm. the maximum width of the mount is 430mm. I got my Headers for my New Astro Cities.